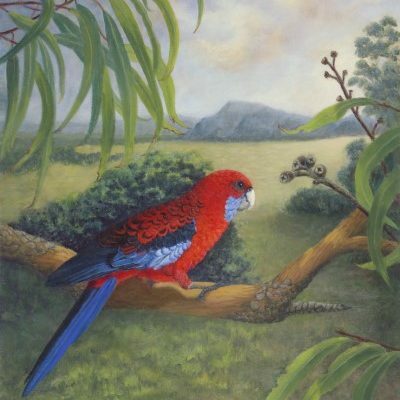 Ngaire Winwood – Queensland Wildlife Artists Society Inc.
Born in Toowoomba, Ngaire (pronounced Nar-ree) is a self taught, freehand artist studying modern realism and classical art theory. Ngaire enjoys using a variety of mediums preferring oil paints to take advantage of the capacity for glazing and Silverpoint, a classical Gothic/Renaissance medium for it’s delicate draftsmanship requirements and tonal expression. Ngaire has been in awe of nature her whole life. Choosing to be a portrait artist of nature is a natural inclination for Ngaire since it requires the capacity for scientific discovery and curiosity, the chance to study and understand a natural individual on an intimate level and through experiences shared when observing the subject living free within it’s natural or adapted habitat. These experiences formulate an impression for a portrait on Ngaire as well as an appreciation of the individual’s value in it’s relative ecosystem and it’s shared value within the web of life. Inherent challenges are resolved by seeking to express the subject’s ‘essence’ or unique character trait through it’s form, expression, emotion and posture. To formulate a portrait, birding experiences, intimate life studies, observation, research and photographic references are undertaken to seek out a desirable composition to develop an appropriate expression through invention, suppressing, exaggerating or eliminating elements. Having a passion for colour, the artwork receives a symphonic and technical playfulness approach that melds seamlessly with the chosen pose, position or compositional element to create a unique ‘timeless gift of expression, sincerity and joy’ experienced by Ngaire. A gift that keeps giving. 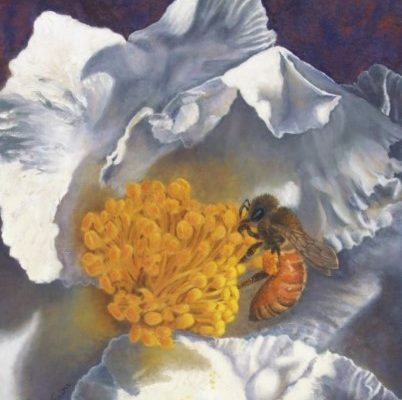 Ngaire’s portraits of nature are much admired nationally and internationally. Although still an emerging artist, Ngaire’s artworks are held by collectors throughout Australia, the UK and in Guangzhou, China with recent commissioned work now hung in Beijing. 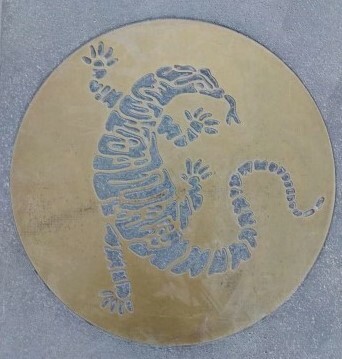 In 2017, her fauna designs were translated into brass plates mounted into paver’s as a permanent public art pavement piece at the Grand Central Shopping Center in Toowoomba, Australia to honour the Indigenous owners of the land, the Giabal and Jarrowair people.